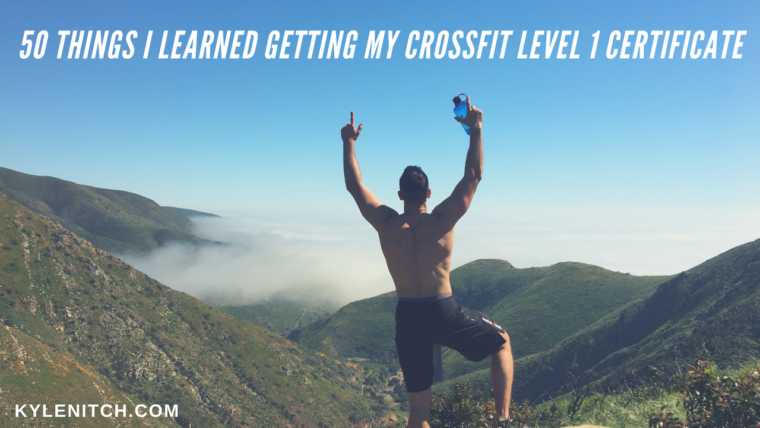 After 4 years, I finally attended the CrossFit Level 1 Training seminar in Costa Mesa, CA. Up until this point, I’ve been using CrossFit (and continue to use) for the foundation of my fitness journey. The primary reason I went and got this certificate was to continue my education on the body, functional fitness, and living a healthy lifestyle. Knowing what I know now, I’ve already become a better athlete and person. The future stream of income and skills gained from becoming a world-class coach is a bonus too! CrossFit is constantly varied, functional movement, executed at high intensity. CrossFit is a core strength and conditioning program and the fitness that it develops is foundational to all your athletic needs. Functional movements are natural movements. These are movements that we’ve been doing for 1000’s of years and are built into our DNA. Functional movements are universal recruitment patterns. They’re essential. And they’re safe. The most unsafe thing you can do is not practice these functional movements. The most safe thing you can do is practice these functional movements with great form. CrossFit is based on data. The CrossFit methodology is based on observable, measurable, and objective data. In fitness, you should be good at everything. CrossFit doesn’t want you to just be good in the gym. CrossFit wants you to be good outside of the gym too. The goal is to improve the entire quality of life. If you go on vacation to Hawaii, will you be able to hike that volcano? Will you be able to walk the Great Wall of China? Can you carry your groceries up 4 flights of stairs? If something terrible were to happen around you, would you physically be capable to be of service? CrossFit workouts are constantly varied in the following ways: Time, Repetitions, Loading, Movements, Functions, Formats, and Schemes. The 9 Foundational CrossFit movements: Squat, Press, Deadlift, Front Squat, Push Press, Sumo Deadlift, Overhead Squat, Push Jerk, Medicine Ball Clean. CrossFit Movement themes: Midline Stability, Posterior Chain Engagement, Core to Extremity Movement, Full Range of Motion, Active Shoulders. The stress of at the knee join is greatest at parallel. Squatting below parallel gives the knee joint a chance to rest and promotes knee health. Front Squat: Loading of the barbell should be as close to the center line as possible. There are (10) general physical skills: cardio respiratory endurance, strength, stamina, flexibility, power, speed, coordination, accuracy, agility, and balance. We want capacity across all of these skills. A specialist is someone who is REALLY good in (1) area. Example: Marathon runner, power lifter, swimmer etc. The reason why most people don’t like CrossFit is because it is really good at exposing weakness. Fitness: work capacity across the board. Health: fitness throughout a lifetime. CrossFit is different because it’s a methodology that defines its terms. Technique: movements or positions used to accomplish a task. Good technique – work increases, energy decreases. Good technique will increase your fitness. Strength: Productive application of force. Task accomplishment. Virtuosity: Doing the common uncommonly well. A world renowned Olympic training coach once said that the highest level Olympic are the athletes that are pushing the boundaries of the sport, falling often, and making mistakes. They’re also the ones that find the most success. (3) Key factors we want to look at for our athletes: Safety (minimize risk), efficacy (increase results), and efficiency (increase rate). Mechanics, Consistency, & Intensity. This is how you safeguard health. Hydration during fitness – drink water only when thirsty. Compound movements – big muscles move first, smaller muscles move last. The body starts with high force and low velocity. The body ends with low force with high velocity. Think of a baseball pitcher – power comes from hips moving slowly and ends with the finger tips moving fast. Olympic lifting demands a very high level of athleticism. Olympic lifting requires proficiency in all of the (10) general physical skills that everyone should have capacity in. Nutrition is the foundation of fitness. The CrossFit pyramid is structured as such: nutrition, metabolic conditioning, gymnastics, weight lifting, and specific skills. Nutrition is broken up into Micro-Nutrients and Macro-Nutrients. Micro’s are your vitamins & minerals. Macro’s are your proteins, carbs, and fats. The CrossFit diet is based on eating whole foods. Whole foods are foods that if you were to go back in time with a plate full of food to cook for your great, great, great, great, great Grandma – she would be able to recognize them. Your great, great, great, great grandma would NOT know what a bag of chips, a snickers bar, or a hot pocket is. A healthy lifestyle diet consists of meats, vegetables, nuts, seeds, some fruit, little starch, and no sugar. You should eat less starch than fruit and less fruit than vegetables. The zone diet is a diet that breaks food up into “blocks.” 1 block of food = 7g protein (30%), 9g carbs (40%), 3g fat (30%). The only supplement that we should be adding into our system (to start) is fish oil. We want to get 3g of EPA/DHA per day. Fish Oil is an excellent supplement for anti-inflammatory reasons. Getting your athletes to comply with nutrition starts with you. Lead by example. You need nutrition to maximize your health and athletic performance. The Rule of 5’s: Don’t eat more than 5 blocks per meal. Don’t eat less than 5 hrs apart. Don’t eat more than 5 meals per day. The best way to develop mid line stability is from the 9 foundational movements. The 2nd best way to develop mid-line stability is from the GHD (Glute-Ham Developer). When your body is in flexion that means the joint is closed. When your body is in extension – the joint is open. The hip and back extensions on the GHD is how you show functional strength and awareness in the posterior chain. The anterior chain is the front of the body (the show muscles). The posterior chain is the back of the body (the GO muscles). Your strength and power come from the posterior chain – glutes, hamstrings, back muscles, and shoulders. 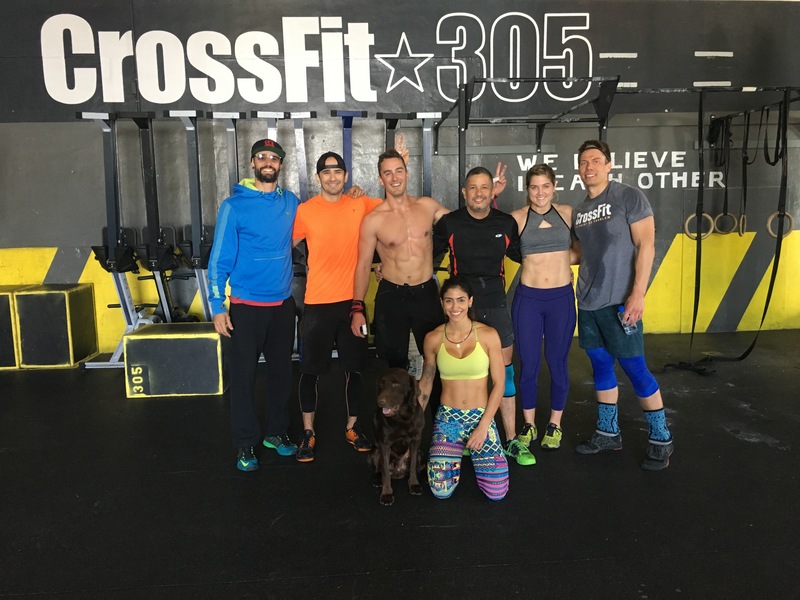 CrossFit believes that preparation for random physical challenges–i.e., unknown and unknowable events–is at odds with fixed, predictable, and routine regimens. CrossFit was developed to enhance an individual’s competency at all physical tasks. An athlete is a person who is trained or skilled in strength, power, balance and agility, flexibility, and endurance. Athletes have greater bone density, stronger immune systems, less coronary heart disease, reduced cancer risk, fewer strokers, and less depression than non-athletes. Overall, the biggest takeaway that I got from getting my level 1 certificate is that CrossFit is about building a better lifestyle. The methodology is built to support you maximize your life experience. It’s not at all what you see on TV. Those CrossFit games athletes are the 0.005% of athletes out there. Comparing yourself to one of them is a complete misrepresentation. CrossFit is not “too hard.” Starting anything new and worthwhile has a learning curve to it. And it will be uncomfortable. Over the years I’ve realized why I’m attracted to CrossFit. I enjoy it because I want to lead an EPIC life. One with ZERO physical or mental limitations. We’re about learning how to properly move and feed our bodies. Everything we do in the gym is designed to transfer into the rest of our lives.